Melanie Young is a woman in motion, and she did not let a breast cancer diagnosis slow her down. “It took losing my breasts to find my voice,” she says on the acknowledgment page of her first book, Getting Things Off My Chest: A Survivor's Guide to Staying Fearless and Fabulous in the Face of Breast Cancer (Cedar Fort Inc./September 10, 2013), available for pre-order now. Melanie has spent her life making things happen, from running her public relations and events business producing high profile marketing campaigns for her wine, spirits and food clients, to launching and overseeing The James Beard Foundation Awards for 16 years and traveling the world in search of delicious new experiences. Her breast cancer diagnosis in 2009 was a detour she had not planned. “Breast cancer is a journey no one wants to take but sadly it is a road well traveled by many women. I spoke with survivors to prepare and then mapped out my own plan to face my diagnosis and treatment. I decided to use the experience to rebuild my body, retool my diet and restructure my time and share what I learned with other women. A self-described “Nooga-Yorker,” Melanie Young was born and raised in Chattanooga, Tennessee, graduated Sophie Newcomb College (Tulane University) in New Orleans and divides her time between the Hudson Valley and New York City with her husband, David. 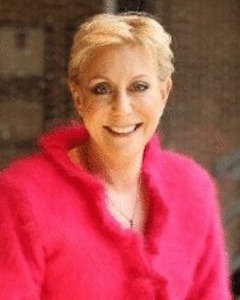 She is involved in several philanthropic causes including SHARE and Les Dames d’Escoffier and is Founder of The Connected Table® Inc, a wine, spirits and food marketing consultancy.